As the name implies, Electrical Submersible Pumps (ESP) are capable of performing pumping operations while immersed in liquid. ESPs typically fall into two categories: single-stage and multi-stage. The single-stage pumps are commonly used for pumping sewage, pumping fluids in industrial processes, general drainage, and transporting slurry (fluid containing a high volume of suspended solid particles, such as coal). Multi-stage ESPs tend to be used in water wells, or lowered into bore holes for water evacuation. ESP systems are comprised of above-ground and below-ground components. 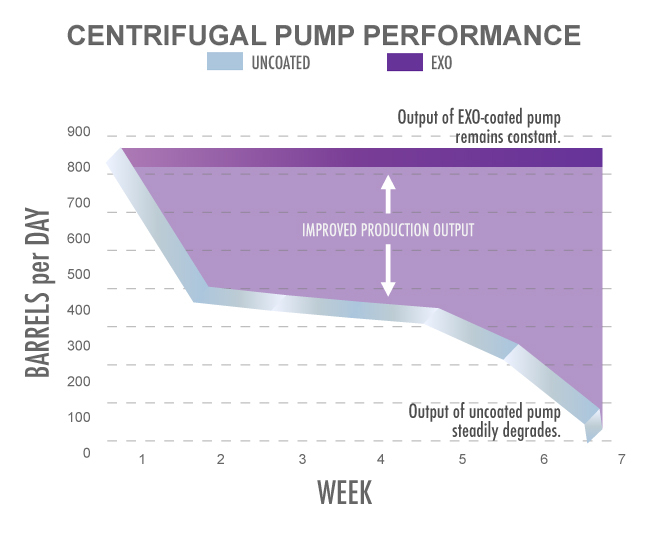 The motor’s controller and power supply remains above ground, operating the centrifugal pump (or multiple pumps) below the surface, providing “artificial lift” to remove or separate liquids. 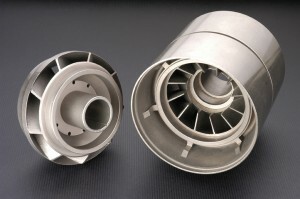 Within the pump, key components include the impeller (powered by the motor), and the diffuser, which guides liquids into the pump’s next stage. The pump also relies on a series of mechanical seals to keep the fluid inside the pump from shorting out the motor. In the oil & gas industry, ESPs are utilized at a variety of depths, pressures, and rates of flow. Because of their high speed and tight tolerances, ESPs are vulnerable to failures caused by grit and sand. 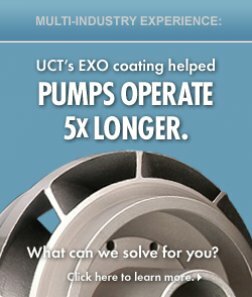 UCT’s EXO coating can help minimize these problems by giving impellers and diffusers a surface that is both extremely hard and highly lubricious.